The Expulsion from Paradise. 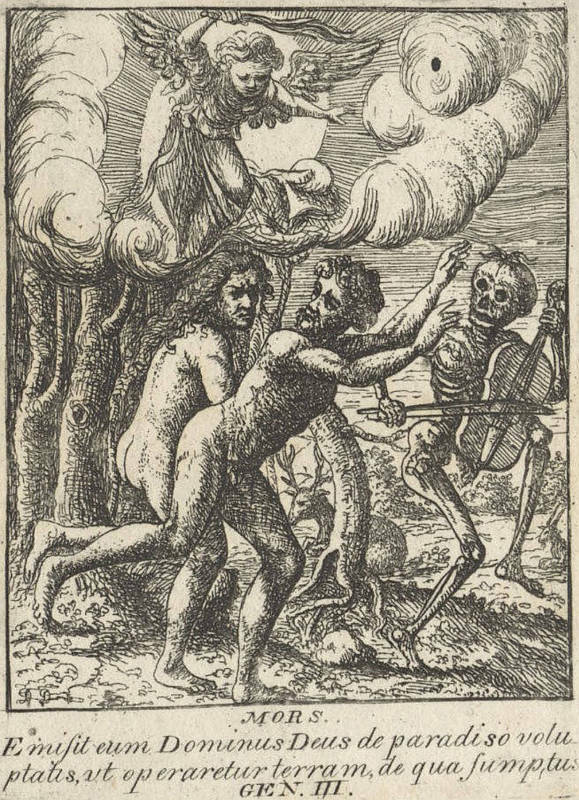 Copies of Holbein's Great Dance of Death made by David Deuchar. 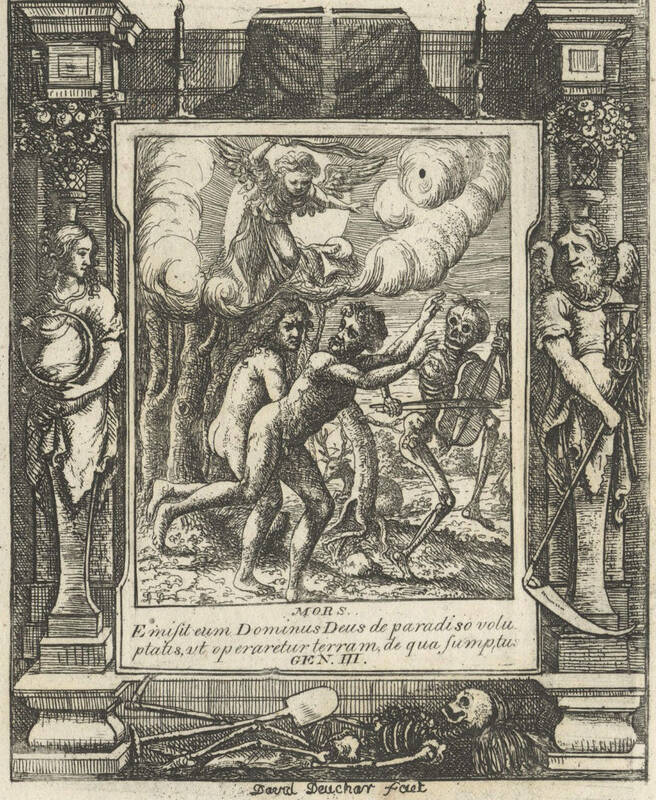 The border (click to see the entire image with frame) is a copy after Abraham Diepenbeeck and shows Eternity and Time. There's a larger version here: Expulsion.